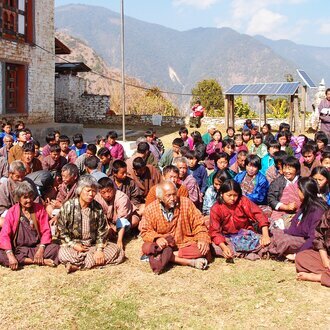 The growing issue of youth unemployment is a national concern in Bhutan. The dilemma is shortage of skilled workers versus increasing youth unemployment. 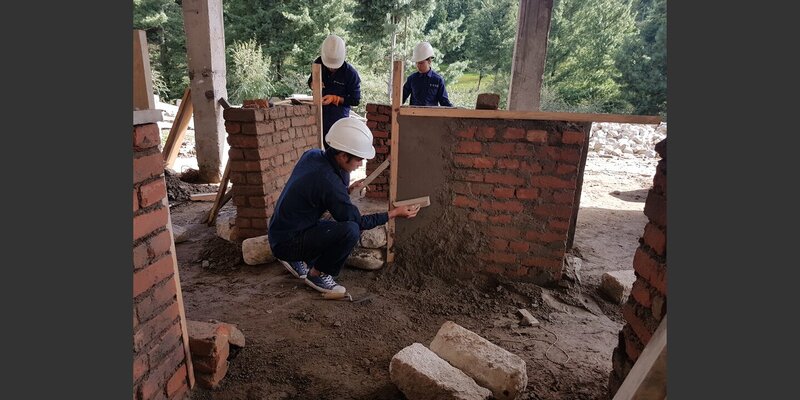 The vocational skills development project works on improving the quality of construction skills training for youth. An important part of quality is to partner with the private sector so that trainings match the realities of the market. 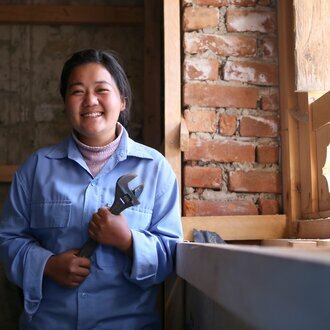 Vocational skills is often not the first choice for youth and parents. The preferred jobs are within the government. But the reality is that almost 50% of the population are below the age of 24 years, more and more youth enter the job market each year, and government jobs have become highly competitive. This picture also shows that the size and maturity of the private sector has still some ways to go before it becomes the main job creator. Within the private sector, the construction industry is growing and needs workers. This industry has come to depend on workers from across the border who are available and cheaper. Compromises on quality and long-term costs of maintenance are some issues. Vocational skills training for interested youth becomes more and more important in such a scenario. The government has set up skills training schools (called technical training institutes) in different parts of the country. 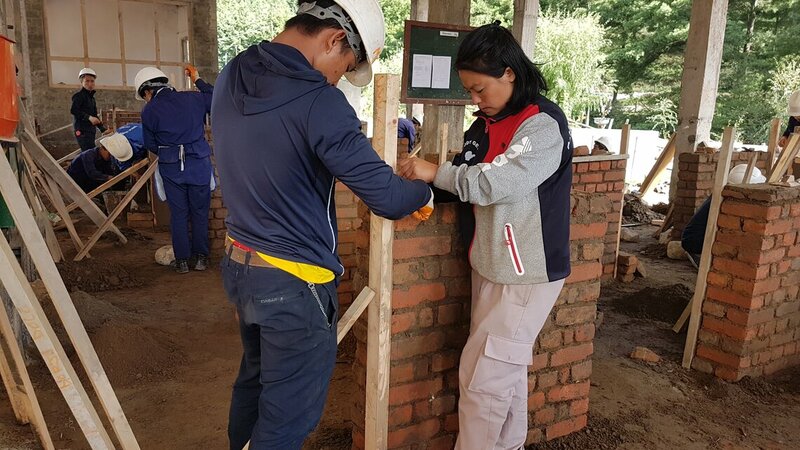 Helvetas partners with two skills training schools – one in the south and one in central Bhutan – that are relevant for the construction sector, and with the Ministry of Labour and Human Resources which sets the overall policies and standards for skills. 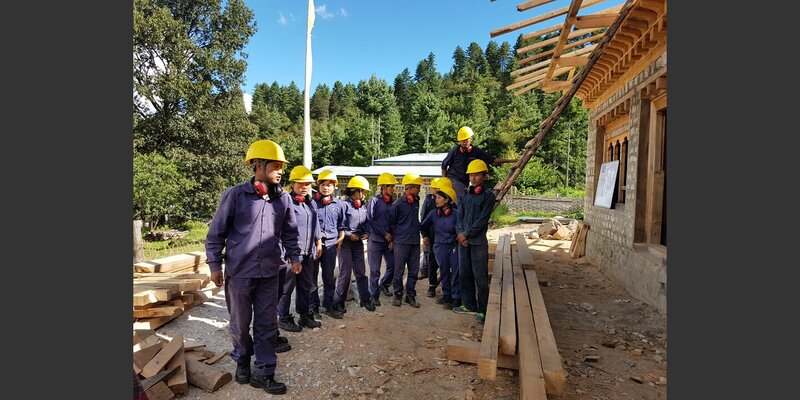 More and more, Helvetas is getting into partnerships with private firms to start a “dual mode” where youth spend about 60-70% of training period with construction firms. This provides the youth with real world-of-work experiences. And when private firms have a stake in skills training, the link to graduates from the skills training schools is already established. 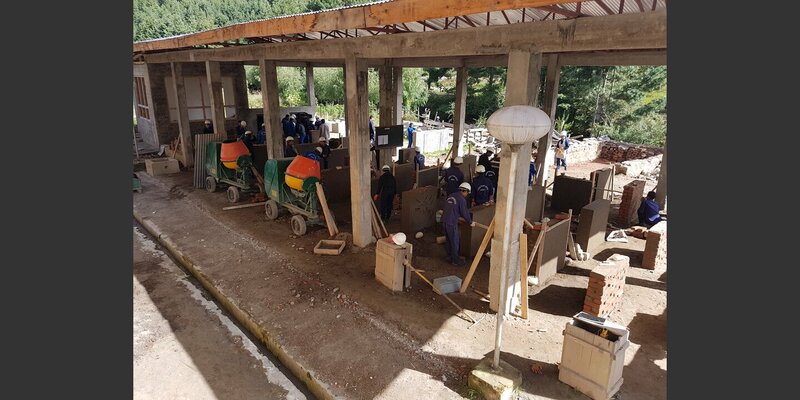 On a smaller scale, youth in these skills training schools who have the ideas and the potential to start small businesses and employ themselves and others will be supported.